Nearly every month is dedicated to shining awareness on particular diseases. It is an incredible way to educate those unfamiliar with an illness, as well as to assist those affected in finding support systems. These awareness months also extend beyond medical conditions, including special categories of people. Altogether, these designations bring people together and act as a reminder that no one is battling alone. Being diagnosed with a chronic illness can be the scariest moment in anyone’s life. According to the National Health Council, about 40% of the population is affected by a chronic illness. From the moment of diagnosis, feelings of stress, anxiety and fear often begin circulating. People, such as those diagnosed with cancer, commonly start to feel overwhelmed. Despite the parade of emotions swirling at the moment of diagnosis, many Americans have the silver lining of a dedicated family member at their side. In fact, many of those dedicated family members devote their time to providing care for their loved ones over the duration of the illness. More than 34 million Americans currently act as an informal (and unpaid) caregiver for a family member. Though family caregivers may often be free of chronic illnesses, this month provides a humble opportunity for caregivers to develop further support systems. Acting as a caregiver can be an incredibly stressful role. In fact, 47% of caregivers experience anxiety and 42% experience depression. 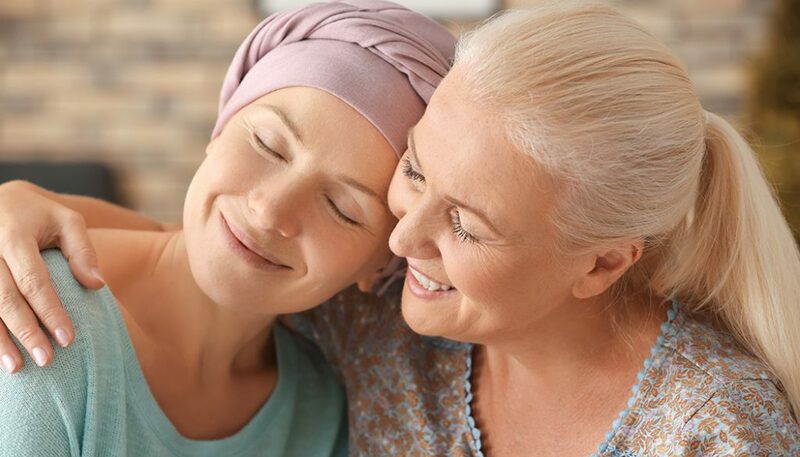 It is easy to get wrapped up in the health of loved ones and it is a noble feat to be a caregiver, but it is just as important for caregivers to take care of their own wellbeing. The theme for National Family Caregivers Month 2018 is Supercharge Your Caregiving, and the Caregiver Action Network offers excellent tips on how to improve caregiving. But one of the best ways to “supercharge” is for caregivers to take care of their mental and physical wellbeing. Providing care for loved ones is often fulfilling, but feeling overwhelmed is normal. This can happen for a first-time or a long-term caregiver. To avoid burnout, caregivers under a lot of stress could consider reaching out for help. Reaching out for help could be as simple as seeking assistance from another family member or friend. Sometimes schedules get too busy and there’s nothing that can be done about it. There is no shame in asking someone to lend a hand, whether it be a one-off situation or regular assistance. Caregivers should also remain open-minded to receiving help from doctors. As more than one in four caregivers are likely to experience depression, it is important that they are willing to seek medical assistance in managing their mental health. As with people in every situation, it is equally important that caregivers also remain conscious of their physical wellbeing. Navigating appointments and managing multiple schedules often takes up a lot of time. However, caregivers are urged to continue a regular exercise routine and a balanced diet. A balanced diet should include a lot of fresh fruits and vegetables and minimal alcohol. No one can be perfect, but everyone can put forth a little effort. An easy way to incorporate exercise while maintaining mental health can be to take an hour a day for “me time.” That hour can be used to participate in a favorite exercise class or to simply take a quiet stroll down the road. Caregivers are superstars, and it is important to keep the superstars supercharged. The best way to remain supercharged is for caregivers to understand that their health matters just as much as those for whom they care. This month, reach out to any friends or family members that are acting as caregivers. Offer to lend a hand, whether it be helping with a busy schedule, lending an ear or even cooking dinner. Sometimes even the smallest gesture can make a huge impact.